(Seychelles News Agency) - Thai Union Group, a producer of seafood-based food products from Thailand, is investing over $37 million in the Indian Ocean Tuna (IOT) canning factory and its facilities in Seychelles, said an official from the group. The president and chief executive of Thai Union, Thiraphong Chansiri, announced the investment during a visit with President Danny Faure at State House, Victoria on Monday. “This year alone, Thai Union has committed to invest close to $37 million of which $9.9 million has been used to complete the construction of our new wastewater treatment, $13.6 million will be used for the improvement of our cold storage facility in IOT, $6.1 million will be used for our expat housing project. We have an additional $6.1 million for the improvement of our facility,” said Chansiri. He said that this shows the long-term commitment that the union has towards the 115-island archipelago of the western Indian Ocean. The courtesy call to Faure coincides with Chansiri’s annual visit to the island nation. 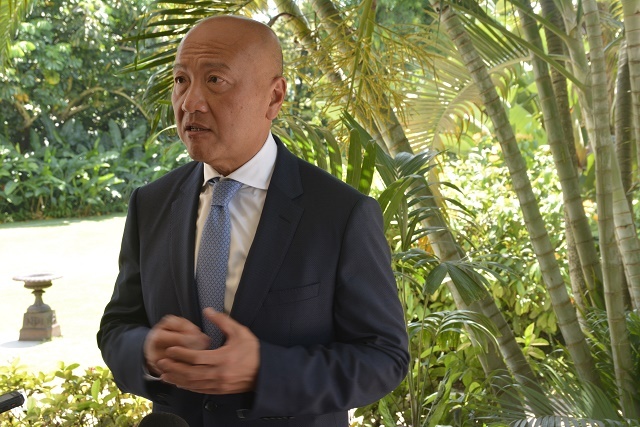 “I am very pleased with the business that we have at IOT and we believe that Seychelles can remain competitive in the world market and we do hope that we will be able to expend more businesses in the island,” said Chansiri. The chief executive said that one of the challenges that the IOT faces is the ability to recruit local workers. “I understand that locals have less interest in this industry than the other industries. We are working hard to be able to communicate and work with the locals to let them see the opportunities in this sector,” said Chansiri. Recently IOT has recruited a Seychellois, Nichol Elizabeth, as general manager. 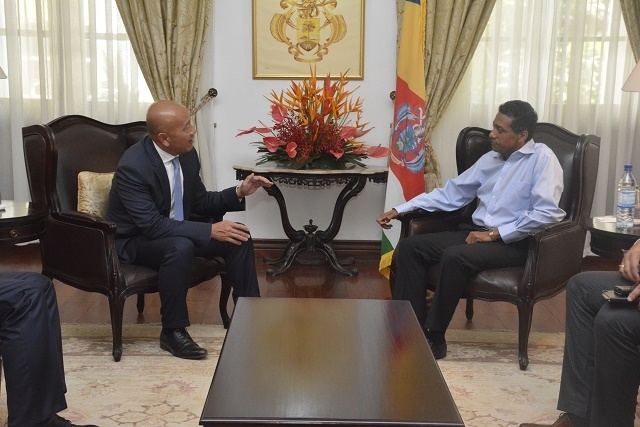 Chansiri said that this is how Thai Union is trying to show Seychellois that “if you work hard, you can have a very good job, which is very important for the new generation.” There is a need for more employees in the engineering and administration field within the company he said. Another challenge the company is facing is to make IOT more competitive within the world market, something that the chief executive said needs to be achieved by working closely with the government of Seychelles. Thai Union is the world biggest processing company of seafood and globally the group has 13 tuna and other seafood processing plants. “We have only a few strategic plans where we want to invest heavily and build a network around it. It is no doubt that IOT is nicely placed in the Indian Ocean where the fish migrate and the idea right now is to debottleneck it to the extent that we can,” said Massen. During his visit to Seychelles, Chansiri officially opened the new wastewater facility of IOT.